This Aila Blue Spike Mini Bag, nicknamed “Spike Me”, is an all leather mini bag in bright blue. It is embellished with gold plated spikes to the top and flapover front, and there is also leather bow detail to the flap. The bag has gold plated hardware throughout and a concealed magnetic fastening on the front. It is made from grainy leather and lined in brown suede with an Aila circular brand metal plaque inside. 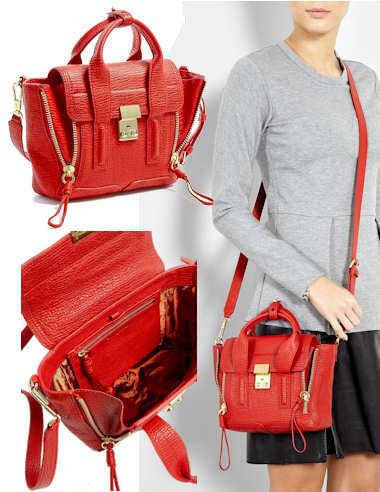 This bag has a long chain strap and can be worn as a shoulder bag, cross body bag or a belt bag. Measurements: 15cm / 5.9″ x 11cm / 4.3″ x 6cm / 2.4″; all measurements are approximate. Aila is the new kid on the block when it comes to handbag design, but she’s definitely causing a stir with her awesome and uniquely styled handbags with their luxurious hardware and brightly coloured leather. This spiky studded design is bang on trend for this season’s preference for all things opulent and it’s only available at my-wardrobe.com. The Mulberry Margaret Mini Bag is a black leather flapover mini bag with a gold-tone chain and leather cross body strap (tuck it inside the bag if you want to use it as a clutch) and a black suede lining. On the front of the bag is the “We Believe in Tea and Cake” gold-tone metal plaque. The bag has a magnetic fastening on the inside and there is an internal zip pocket with a Mulberry brand logo. 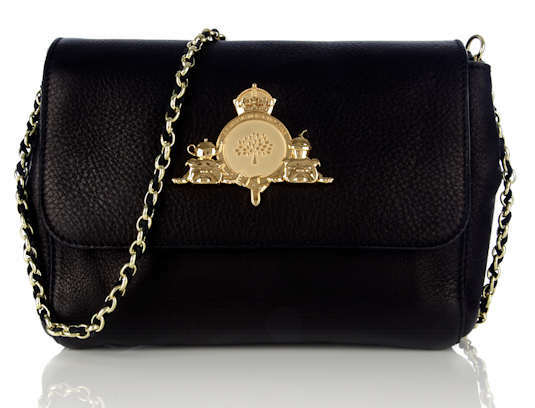 Style note: The Mulberry Margaret Mini Bag is named after Princess Margaret as a tribute. This is a very versatile mini bag – you can wear it as a clutch, a shoulder bag or cross body and it is perfect for either day or evening use. The Mulberry Drew Mini Bag is available in blueberry or oak and is made from beautiful quality textured calfskin leather. They say that the best things come in small packages, and the Mulberry Drew mini bag is no exception. Features include a large gold-tone Mulberry plaque on the front of the bag, and an equestrian inspired gold-tone chain insert on the leather adjustable cross body strap. This bag is of a flapover style, and has a stud fastening. Inside, the Drew is lined in black suede and a Mulberry tree canvas fabric. Measurements: 15cm x 10cm x 2.5cm; handle drop 53cm; (all measurements are approximate). Style note: This is a lovely little mini bag, perfect for when you want a stylish little bag because you don’t have a great deal to carry. The gold-tone hardware is really chunky and opulent, and of course, Mulberry leather just looks better the older it gets. Luxurious bag by Fendi for your next red carpet appearance. 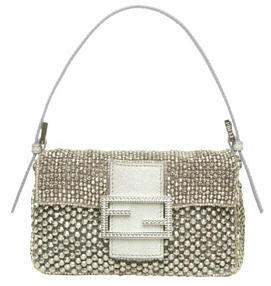 Silver beads for a mesh that encases the mini baguette, which closes with a Fendi F logo set with crystals. The strap is removable, making this an extremely versatile as well as pretty little bag. 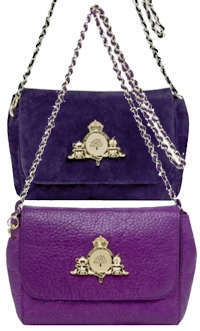 In keeping with the regality this bag infers, the lining is made from purple satin. There is an additional open slot pocket in the rear of the bag. Measurements: Width 19cm/7″: Height 12cm/4″: Depth 3cm/1, Handle drop is approx. 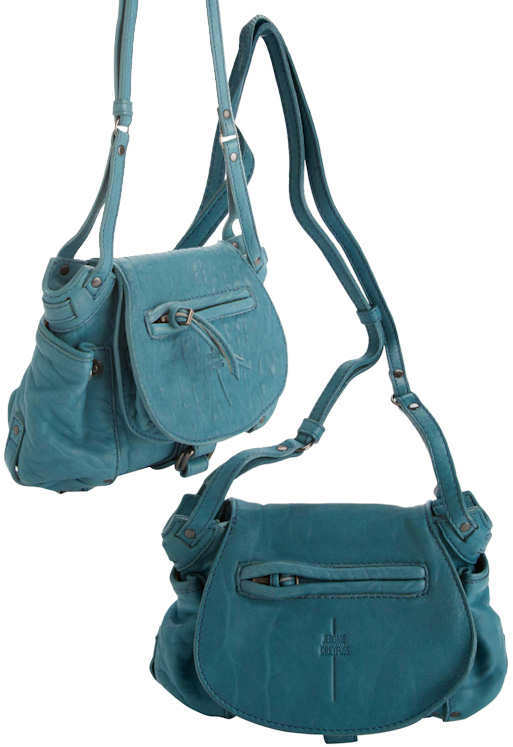 18cm/8″, The removable cross body strap measures 65cm/25″. All measurements are approximate.